There's no better challenge than a skill game or toy! 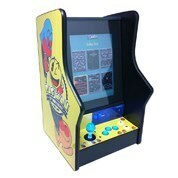 MyDeal are excited to have skill games and activities for sale, available for shipping anywhere in Australia. Whether you're buying presents for your child or are a big kid at heart yourself, our skill toys and activities will allow you to develop your skills while having plenty of fun. 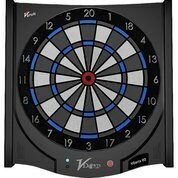 Set up a dartboard in your home for adults and kids alike to practice their aim, or relive your childhood by splashing out on a retro-style game. Our skill and activity games also include smaller toys that let your kids keep their hands busy. This includes yoyos, Rubik's cubes, cup and ball games, and juggling sets. With these fun and challenging games, your child can improve their hand-eye coordination, accuracy and problem-solving skills. This is an especially great outlet for kids who might otherwise be hyperactive, allowing them to channel their energy into something focused. If you're worried your children spend too much time in front of their gaming console, tablet or other gadget, getting them a skill game is an excellent replacement. Your children will still be able to have plenty of fun with their friends, while developing their skills and not straining their eyes due to screen use. Skill games and activities are an ideal way of entertaining the whole family, while getting them off their electronic devices. Are you a kid-friendly business looking to distinguish yourself from the competition? Or wanting to throw a birthday party for your child that they and all their friends will be talking about at school the next day? MyDeal's skill games and activities won't let you down! Whether you want to create the ultimate man cave, host a fantastic kids' party that keeps all the little guests entertained, or deck out your business with addictive games that will have people coming back for more, MyDeal's skill toys, games & activities for sale are exactly what to stock up on. Happy shopping!